After retirement, many seniors don’t know what to do with their time. Some become sedentary without a daily job to go to which can affect health and mobility. Many begin to feel lonely or isolated. Some become depressed. A great way to prevent issues such as these is to volunteer. Seniors have a wealth of knowledge and a great deal of valuable experience to share. Volunteering can be rewarding for all parties and it is a great way to get out of the house and make new friends. AARP Volunteer Resource Center – let them know what your interests are and they will match you up with organizations where you can make a difference. RSVP – a service that matches volunteers with opportunities that match their experience and interests. Foster Grandparents – volunteers give their time to schools, Head Start centers, hospitals, drug treatment centers, correctional institutions, and day care centers. They offer emotional support to children who have been abused and neglected, mentor troubled teenagers and young mothers, and care for premature infants and children with physical disabilities or severe illnesses. Senior Companions – healthy volunteers 55 and older are matched with other senior adults who need companionship and assistance with errands, medical appointments or personal care. Your local public library – What better place for a bibliophile to donate time than the library? Volunteers help shelve books, make book repairs, or greet patrons. Human Society or municipal animal shelters – If you’re an animal lover, contact your local shelter to see how you can help. Programs that cater specifically to senior adults, such as Arlington’s Golden PAWS, may be available. School districts – Retired educators, or anyone who loves to work with kids, should investigate this as an opportunity – especially for schools in economically disadvantaged areas where parent involvement may be low. Tutoring, mentoring, reading to kids, and attending school events are great ways to be involved. Tax preparation assistance – Are you a retired accountant or just great with numbers? The IRS offers free tax assistance through its Volunteer Income Tax Assistance (VITA) or Tax Counseling for the Elderly (TCE) Programs. Charities or non-profit organizations – Check with your local chapters of the American Red Cross, American Cancer Society or charity of your choice. 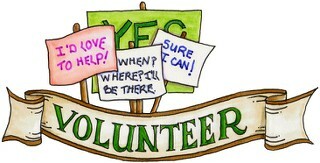 Volunteers are always welcome in these organizations. There are countless other opportunities out there – churches, community gardens, hospitals, community centers, etc. Just figure out what you love to do and what skills you have that could help others and there will be an opportunity to help somewhere. For more senior news and tips, visit our website.